Awarded with 3 glasses at Gambero Rosso! 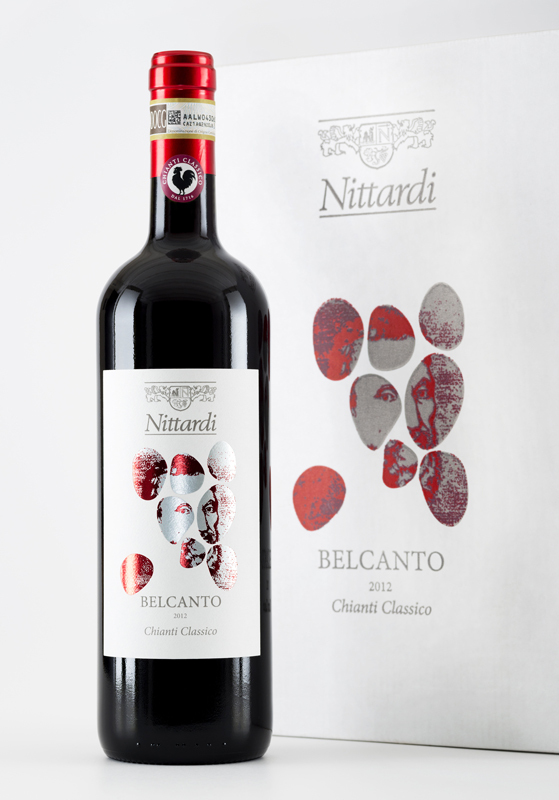 Half of the grapes for Belcanto come from our vineyards at Nittardi, located 450 meters above sea level, while the other half come from our vineyard in Villa Rosa, located south of Castellina at 270 masl. 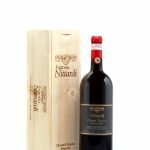 While at Nittardi we only have Sangiovese grapes, the Villa Rosa vineyard, planted in 1968, has Sangiovese and small amounts of seven other local grape varieties, including Canaiolo, Colorino and Malvasia Nera. In the world of music, Belcanto represents the harmony displayed by a complete work. 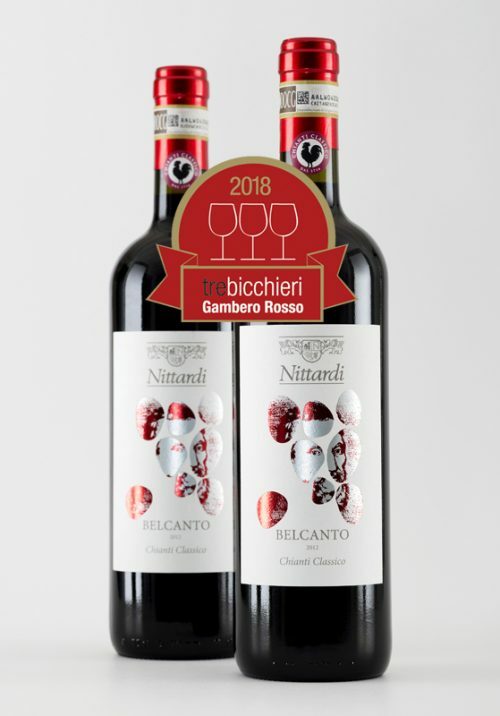 Belcanto also echoes the adage of the great wine critic Luigi Veronelli: „Wine is the earth‘s hymn to the heavens.“ In every way, Belcanto is the fi tting name for Nittardi‘s newest composition. 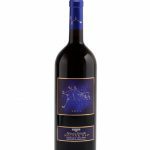 The label refers to the history and terroir of the wine: eight pebbles in the colors of the gray galestro soil and the typically red color tone of Chianti Classico – like the eight notes of the scale and the eight grape varietals of Belcanto. And looking out from this mosaic of eight pebbles, the face of the historic owner of Nittardi: the Italian master painter and archetypical „Renaissance Man“, Michelangelo Buonarroti. 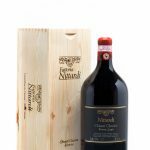 Soil: Soil mix of limestone and clay with a rich skeleton of schist, which engenders the wine with a pleasant minerality. should be served at about 16°C (60,8°F). Be the first to review “Nittardi Belcanto 2015 Chianti Classico DOCG” Click here to cancel reply.